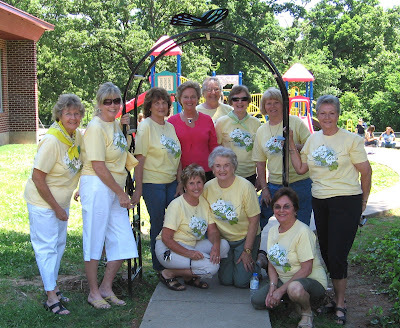 Community beautification is at the heart and soul of the Bella Vista Garden Club. The Club's Purpose which is written in our Yearbook clearly state this as our main goal. Various flowers and/or shrubs are planted and maintained at the Blue Star Memorial garden at the Visitors' Center on Highway 71, the Bella Vista Cemetery, and the Veterans Wall of Honor. The club supports the Children's Shelter's gardening efforts through donations to purchase gardening tools or plants. Special projects include the Thomas Jefferson Elementary School Butterfly Garden. The Club assisted with design, planting and financial support for needed gardening items. Club members donated hours of backbreaking labor to complete this project. A metal arbor with a large butterfly on top was donated by the Club. A Certificate of Achievement for the Butterfly Garden Project was received from the National Garden Clubs, Inc. I wanted future generations to be able to savor what I had all my life.